mission to spread fun, cheekiness and crazy dancing to audiences everywhere, with their brand of Gypsy flavoured party music to put a smile on your face and your knees up in the air! They take inspiration from a wide range of genres, primarily glued together with a passion and fascination for Balkan Gypsy music and Gypsy Jazz. The Minions love to blend all their favourite musical flavours together with a big topping of their individual personalities in the music they write together! 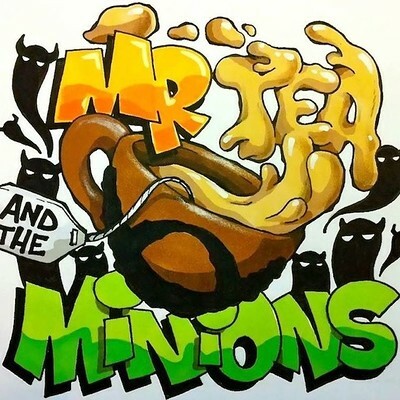 Originally a dictatorship formed by the cunning Mr Tea, the Minions have since overthrown him and their chaos has brought forth a musical democracy where cheekiness, fun and a love for the music bind the band together as one! The Minions erupted onto the UK scene from summer 2014 onwards with highlights being Boomtown festival and Croatia’s Goulash Disko Festival, as well as many crazy gigs all over the UK! The 6 members all have great chemistry that comes from strong friendship and passion for the music they write and play together!